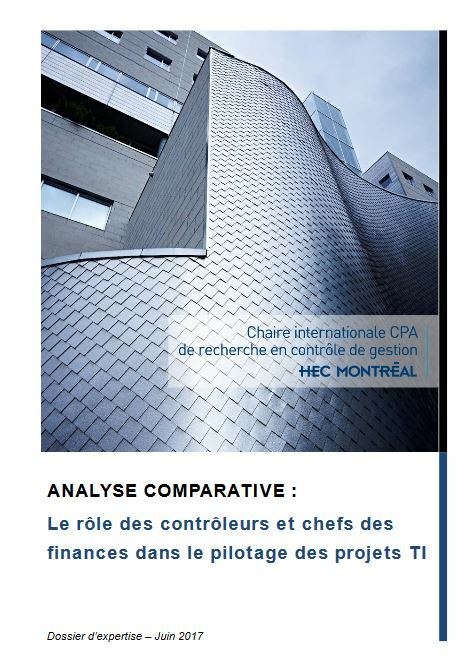 The International Research Chair in Management Control has just published its 6th expert report entitled “Comparative Analysis: the Role of Controllers and CFOs in Managing IT Projects(1)” co-written by Dima Mohanna, Postdoctoral Fellow at the Chair, Samuel Sponem, Associate Professor at HEC Montréal and Holder of the Chair, and Camille Grange, Assistant Professor at the same school. This report was produced with input from high-profile CFOs and controllers as well as specialized consultants from leading companies such as TC Transcontinental, Héroux-Devtek and Sobeys to name a few. Investment management is a difficult art. This is particularly the case for investment projects in information technology. These investment projects are indeed complex and risky. Complex, because they involve a wide variety of actors – programmers, project managers, external consultants and managers – each with different stakes and skills. Risky because many IT projects fail or surpass the originally planned costs, sometimes significantly. The purpose of this report is therefore to identify the issues involved in steering IT investment projects for controllers and CFOs and the issues they should focus on.